To me personally Pilates is a life style. You are here: Home / 2015 / To me personally Pilates is a life style. Eric Saccucci Carlovich doing Long Spine without straps. When and why did you start practicing Pilates? I began practicing Pilates in 1999. I was introduced to it in an unusual way back when Pilates was first starting to in Brazil. The classes where being implemented and It was such “new thing” that professors needed people so they could practice. My mother, Ana Sacucci Carlovich, was part of the second certified group of professors in São Paulo. At the time, as a sophomore in physical education, I was doing a internship with her as a Olympic gymnastics professor. I also voluntered as a body so they could do some training and prepare classes. Where did you receive your Pilates education(s)? 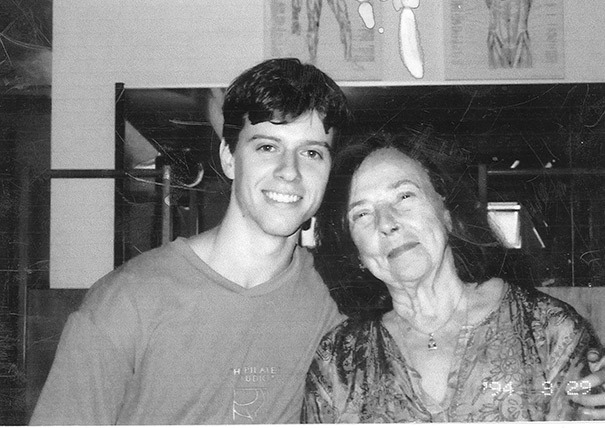 In my last year at the Universidade do Grande ABC I began my Pilates certification in São Paulo. My teachers were Romana Kryzanowska, Sari Mejia, Inélia Garcia. Which workshop(s) inspired you the most? I participate in workshops as often as possible. The last one was in California at Vintage Pilates with Jay Grimes, Sandy Shimoda and,Vintage’s staff. The most inspiring workshop I attended was the International Convention in 2004 in São Paulo. It was fascinating to me to meet so many amazing professionals in my field. What made you decide to make Pilates your profession? In my 20’s I experienced a hard period in my personal life, during which I felt helpless and lost. I discovered a lot about myself practicing Pilates. It has helped me to find my center and allowed me to grow and develop in ways in which I have never imagine. I have choose Pilates as a profession, because I experienced myself how it has a transformative power. From them on I felt I was called to give this tool to others for growth and well being. Pilates has become more than a profession; it is my lifestyle. What is your favorite Pilates brand? My brand is Gratz, because it has the exact measures to which the exercises need to be executed. In Brazil we also have really good apparatus containing the same measures. What Pilatesapparatus is your favorite? I like all of them but my favorite is the Wunda Chair because it is a nice challenge to use in it all your skills that you learn in the other apparatus in their most powerful expression. What Pilates exercise is your favorite? I like a lot of different exercises, but my favorite is the Pull-up on the Wunda chair. Pilates is an anti gravitational exercise, so I think that all the variations of Pull-up are able to capture the essence of how Pilates challenges laws of gravity through strength, control and balance. Do you experience difficulties keeping your clients because of the current economic crisis? No, I was able to keep my clients during the economic crises. The economical situation in Brasil, although presents many challenges, has had different dynamic as a response to the crises. The clients I deal with have a relatively stable economical situation. What is your purpose in teaching workshops? I see and approach Pilates in a holistic way. To me the mechanics of the body can not be separated from mental and emotional states. I believe the work is done through the body, not only on the body. To me Pilates brings body awareness, as is well known, but it also brings a awareness of ones mental and emotional state. However, the professor needs to have the responsibility to understand this process in the student and in himself. This can be done on subtle levels and without words, but the instructor has to understand this process. Therefore, I teach workshops to develop this sensibility. Also, when working with individuals the instructors are required to identify and differ the needs of each body and be able to adapt to the correct mechanics of the movement. Did you solve your own body issues or do you keep them under control with Pilates? I have a structural difference in the size of my legs. This causes an unbalance in the alignment of my hip and spine. This type of condition when untreated can lead to a lot of pain in these articulations. Pilates has allowed me to keep the balance in my body avoiding further complications. Do you have a target audience? How many lessons do you teach each week? Back when I was working with regular clients my work hours were 50 classes a week. Now that I work with instructors I have a more flexible schedule which I can adapt to my client’s needs. Is your focus more on private, or duets or triosessions or do you prefer to teach mat groupclasses? My focus is on teaching private classes. Each one has a unique need, body and mental process. Therefore, teaching one-on-one gives me the opportunity to understand and cater to each individual. I like teaching duet and triosessions to other teacher or advanced students. Who is your favorite person that you would love to teach? There are two athletes I’d love to teach, Yelena Isinbayeva (pole vaulter) and Arthur Zanetti (artistic gymnast). I would like to train them to see how Pilates could help improve their performances. In Europe there are more female Pilates trainers than male. How is that in your country and more specific in your area? The same thing happens in my country. In Brazil there Is also a greater number of female Pilates trainers. What is your opinion about the future of Pilates? It is obvious that Pilates is becoming more and more popular. However, I see a possible problem when this popularity results in a lost of the essence for the practice. Creativity is a beautiful human trait but in this cases can translate into the lost of the original meaning of Pilates approach. What is your own vision of Pilates and what is the biggest insight Pilates gave you? To me personally Pilates is a life style. It is the way I conduct my life, organize my thoughts and keep the health of my body. There are however countless reasons why people practice this type of exercise. The biggest insight I have had in Pilates is the relationship between stability and mobility. In all exercises it is necessary to keep parts of the body stable so you can move the other parts with control. Some exercises require greater stability and some more mobility, but all of them require the appropriate combination of both. I see this in the everyday life, in some situations we need more stability and some more mobility. However, we always need the best combination of both. Which Pilatesword you rather not use? Abdomen. I like to use images to make the person make use of this part of the body and not just keep repeating the word. Did you change things about your teaching or would you like to? I think one can always improve. My new challenge is teaching Pilates in English. 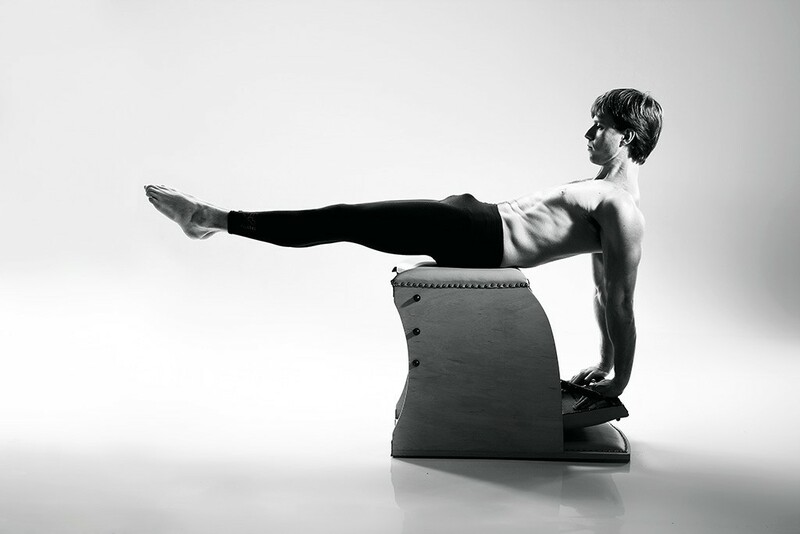 What is your opinion about the classical, authentic Pilates and the contemporary approach? I have been practicing and teaching the authentic and classical Pilates for a long time. I have been getting great results with myself and with my students through this approach. I am not familiar with the contemporary approach so I can’t really speak for it. I however prefer to keep my training and teaching using the classical and authentic way as I have experienced and seen so many benefit of it. Who is your biggest example and who would you love to meet (again) in the Pilates field? A lot of teachers have inspired me in my practice and my way to teach during all these years, among them are Romana, Sari, Inélia Garcia, Jay Grimes, Jerome, Sandy Shimoda, Sônia Cavalcanti (Soninha), Denise Rovira, Gláucia Adan, Roberto Estevan, Mile Moreno, Fábio Geronazzo, Ali Annan, Paulo Machado and Alfonso. I also have friends that I love to have long conversations with about Pilates, among them, Pedro Rocha, Mariano Dolagary, Fernando Sadir, Gustavo, André Ribas and Lene. But for sure my biggest example is Ana Lúcia Sacucci Carlovich (Aninha), she brought me to this field. Are you familiar with Pilates over the world e.g. Europe, Asia, Australia? If so, do you see familiarities? Yes, I have experienced Pilates in the United States, Portugal, and Spain. All I have seen in those countries was very familiar to what I have learned. But again, I practice the classical style of Pilates and that does not change, or at least should not change. According to where you are. Did you ever meet an “Elder” and if so, how was that for you? The bases of my Pilates education I learned from Romana. Every class, program or continuing education was amazing. The simplicity on her way of teaching has inspired me since the first time I had a class with her. Inélia Garcia is another wonderful teacher that I had a honor to learn and work with. She has a special way to understand the process of the construction of the body through the movement. It was very special for me to have meet Jay Grimes as well, who has an amazing vision about Pilates and a beautiful and clear way of teaching. I had the pleasure to meet him only a few times but it was awesome. What is the funniest thing you have ever experienced with Pilates? Do you have a favorite story about Joe or Clara or somebody else? I admire Joe life story in general. It amazes me his discipline to keep striving towards his goals in life. Do you expect to keep on practicing Pilates and keep on giving classes and what is yoru Pilates dream? Yes, I do expect to keep Pilates making part of my life personally and professionally. I would like to see Pilates studios becoming international hubs and bridging among cultures. I believe it is really important to have an international exchange among instructors and students around the world. I would love to be a part of this bridging among cultures through Pilates. I love Pilates! It brought my health back. I am practicing Pilates for more then16 years and I am a certified Peak Pilates trainer since 10 years. I have never felt so fit, vibrant, energetic, supple and strong in my whole life. And I have no more pain. I do a Pilates workout 5 times per week on mat and apparatus and my trainer is the best Pilates trainer in the world. Yes, I am very blessed. Although I am Peak Pilates educated, I adore the very pure, original Joe sessions from my extremely talented and experienced teacher. So there you have it, I am an advocate of original Pilates, but I have an open mind and I give a platform to all Pilates trainers from all backgrounds, because we do a great job! I do it for free in my spare time (which I hardly have). I run a busy, fully equipped Pilates Studio Pilates Studio van Sonsbeek in the Netherlands in the middle of the historic center of the town Zoetermeer. I love my work, my lovely clients and my beautiful studio. So much fun and positive energy. I teach 6 days a week an average of 30 sessions; privates, duo's, trio's and groups. You would do me a great favor if you like my page on Facebook. I am the owner of the Magazines Pilatesglossy Nederlands and Pilatesglossy International. Please join us on Pilatesglossy and on PilatesWordWide. Hi, Can you please comment in English? Obrigada! I was first intruduced to the method by Ineali in 1997 at FMU Ed Phys Day and after years as a Personal Trainer searching for a more functionl and integrative exercise method I fell in love with Pilates. I would oove to meet you in person, I have been living and teaching Pilates in Australia since 2005. I too had to learn to teach in English :). Really enjoyed your interview and I am impressed with your maturity and experience. I should contact you via email. Thank you so much Marcia! Eric will react on your comment. Have a great day! Congratulations on maturity acquired over the years and the humility that is already part of your being! I had the honor and the privilege to work with this guy, I can say it was the period of greatest learning for me, about pilates and life! That life repay you with great generosity all the good you did! Good luck and lots of light in your way! A big hug my friend! What a great interview with Eric Carlovich! There is one thing that grabbed my attention the most: the fact that Pilates is a life style. I truly believe that this is key to have a health life, walk the talk, it is about belief and practice. When there is a bigger purpose, more than just conditioning, then you can have learnings for your professional and personal life, like being mindful, concious about your body, here and now, understanding the effect of concentration, breathing, strength, flexibility…al functioning in perfect harmony (aware of the limitations as well) leading you to quick and long-term wins. I had the chance to meet Eric and I see he combines: talent, strength, knowledge, and charisma. Hope one day I can have classes with him. Meanwhile, I keep my morning practices. Thanks to PilatesGlossy for this interview: inspiring. Thank you so much for your compliments Valeria!